BAI finds exclusion of candidates' poll results in RTÉ report "unfair"
Three people, including two candidates, had submitted a joint complaint to the Broadcasting Authority of Ireland. THE BROADCASTING AUTHORITY of Ireland has found that the exclusion of two candidates’ poll results from a broadcast was “unfair”. Three people submitted complaint to the BAI: the Socialist Party’s Paul Murphy MEP, Patrician McKenna, and Cllr Bríd Smith of the People Before Profit Alliance. Murphy and Smith are candidates, while McKenna said that her complaint was strictly in relation to the democratic process, and her concern as a voter. All three complained about a report on the RTÉ Nine O’Clock news on 3 May regarding Sunday Business Post/Red C opinion poll findings. They said they believed the coverage of the poll by RTÉ failed to be fair, objective, and impartial. They said that RTÉ only highlighted candidates with over 10 per cent support in the polls, which led to the exclusion of Cllr Smith (on 9 per cent) and Murphy (7 per cent). But they said that given the increase in support, the transfer pact between these candidates, and Murphy’s status as an MEP, as well as the previous edition of the Sunday Business Post saying Murphy or Smith could get elected, the exclusion of them was “irrational”. They also alleged the exclusion damaged the candidates’ credibility. The solicitors acting on behalf of the three said that RTÉ acted in breach of its statutory duty by adopting an “arbitrary process” in reporting on opinion poll data. RTÉ said in response that it does not consider it was required to recite every result shown by the poll and was entitled to report on who was shown to be leading in the polls. It said that it was not irrational, in a thirty-second summary, to identify the candidates the poll showed to be leading and to confine the report to the top six in a three-seat constituency. RTÉ also stated that it did not consider that the fact reference was not made to every candidate served to damage the credibility of those candidates. It noted that it also did not refer to MEP Jim Higgins, Senator Deirdre Clune, or Senator Rónán Mullen in the report. RTÉ submits that as an independent media organisation, it has the editorial discretion to focus on the aspects of an opinion poll which it believes to be of most interest to its viewers or listeners. complainants, to exclude the complainant or any other candidate. Rather, it states that there was a consistent and objective editorial approach to reporting of the poll. It also said that candidates with less than 10 per cent were not excluded from the report. The BAI said that it did not agree with the complainant that the approach taken to the reporting of the poll was undertaken on the basis of an arbitrary 10 per cent cut-off in terms of poll results. It also agreed with RTÉ that coverage of every element of the poll is not an obligation, in principle, so as to ensure compliance with the requirement for fair, objective and impartial coverage of news and current affairs. However, it found that the exclusion in the reports of poll results in respect of Councillor Brfd Smith and Mr, Paul Murphy MEP was unfair to these two candidates. It was the Committee’s view that their exclusion in the report was unfair to these two candidates in circumstances where similar results in respect of the Midland’s North West Constituency were included and considered relevant to the focus of the report on the candidates identified in the broadcast as ‘leading’ at the time of the poll. It also found that the context for the broadcaster’s analysis of the results of the poll “was insufficiently transparent for viewers, contrary to the requirement of the BAI’s Guidelines in Respecf of Coverage of Local and European Elections”. was found to infringe the requirement for fairness in current affairs. The broadcast was also found, in respect of coverage of these two candidates, to infringe Rule 27 of this Code (requirement to comply with the BAl Guidelines in Respect of Coverage of Local and European Elections). The Committee found no evidence to support the complaint that the approach taken to the report was an attempt to influence public opinion in respect of the two candidates, or that the approach taken in the report lacked objectivity or impartiality in terms of news or current affairs content. These elements of the complaint were rejected by the Committee. Paul Murphy said that the BAI’s finding “is a vindication of our complaints”. He described the 21 days given to RTÉ to air the finding as “entirely inadequate, given that we have an election in two days time and anything aired afterwards will be irrelevant”. 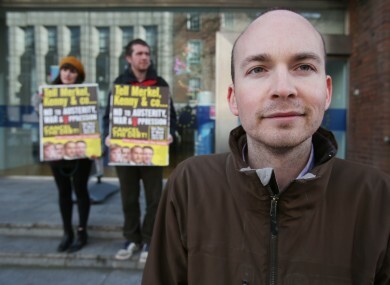 He also said that the finding “underscores that Left can win third seat in Dublin”. Email “BAI finds exclusion of candidates' poll results in RTÉ report "unfair"”. Feedback on “BAI finds exclusion of candidates' poll results in RTÉ report "unfair"”.